Discussion in 'Latest US & World News' started by Jonsa, Jul 11, 2018. It seems up is down and down it up. President Trump;s claims of restoring American respect around the world, isn't readily apparent. FoxHastings and Bowerbird like this. Lemme guess, lefty nut jobs? If you stand up for your country and you're France or Malaysia, no one gives a sh-t. But if you stand up and legitimately defend the U.S., leftists around the world will come down on you like a ton of bricks. Trump doesn't care. He just keeps moving forward. And that REALLY pisses them off. ocean515, Le Chef, Jestsayin and 6 others like this. In Londonistan? 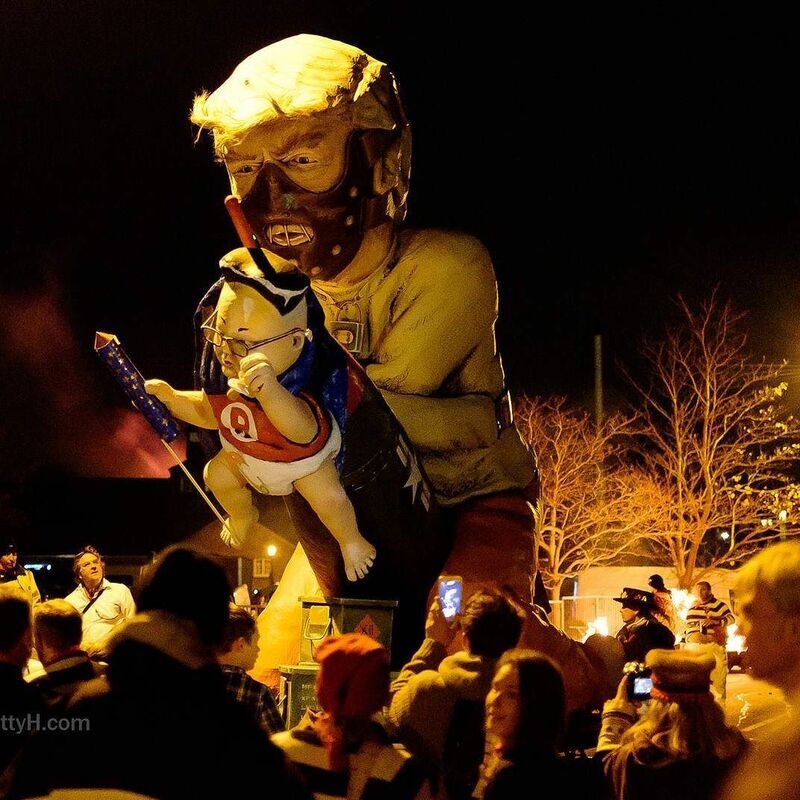 Did you know the crowdfunding for the baby Kahn balloon easily outstripped the fund for the Trump balloon? Neck and neck I heard. Quite like Trump. Dislike Kahn. Le Chef, Doofenshmirtz and Hoosier8 like this. Are they bowing to Donald? Aren't you Britton? Step outside and find out. Thought that was picture of Detroit. Don't come to England if you can't take our freedom of speech. We may not get to vote in an US election, but we're damn well going to voice our own opinions of you. The American-Reich and its ICE Agents want to Gas Chamber Muslims because Muslims make them feel uncomfortable. Freedom of speech. That’s funny. Reality, Kev and vman12 like this. Try threatening the US president. See how free you are to speak. Try having your dog make a Nazi salute. Jail time. Reality and vman12 like this. I am a lefty, but in the FDR/JFK vein. I despise the modern, post modernist, neo-marxist, Left. I think they are crazy as hell, lacking wisdom and basic intelligence. I do not hate them, for it is hard for me to hate crazy people. Or ask why "asians" are all rapey, get 13 months in "asian" prison. Actually you don't have a bill of rights that protects freedom of speech, and threatening to kill someone isn't freedom of speech. 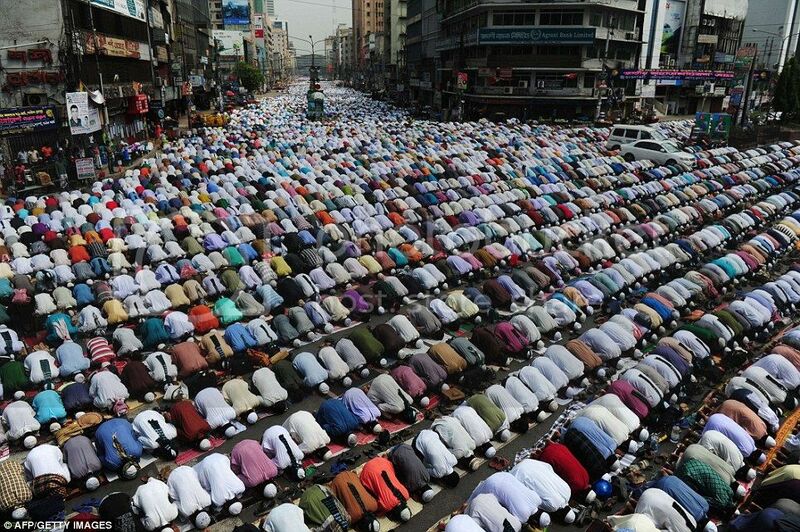 I hope those 20k jihadis sitting at home don't decide that large protest group makes a temping target. Are these our wonderful allies i keep hearing about ? I don't see where the article suggested a lack of respect between governments. It mere explained that London can be a dangerous place. Here in the US, we have no issue with those who like to have public meltdowns. We respect the right to peacefully assemble. Its just like England, but with better teeth! Yes mate, this is us. They burnt effigies of Roosevelt here during WW2. Effigies of Bush here in both Gulf Wars. 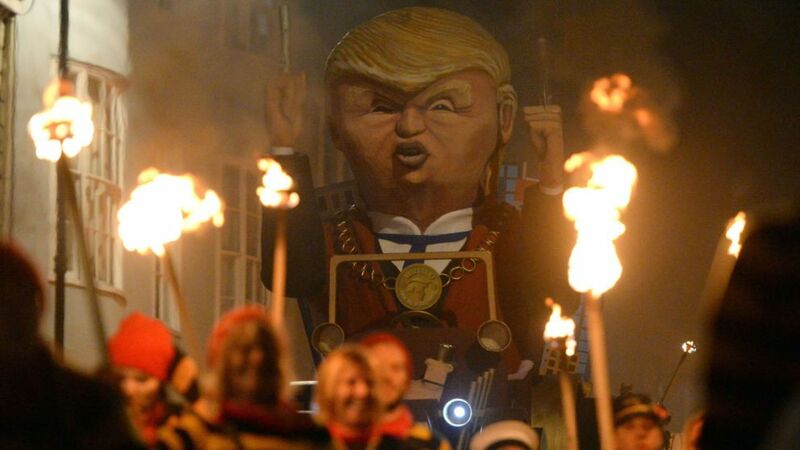 And just love burning effigies of the Pope. We don't worship your Emperors, we don't even worship our own. We are foreign scum. Welcome to our country. Dont worry , you wont see me there . I will go to Yellowstone instead.